50% off - 2 months! Last review was incorrectly rated! I didn't realize that the default on this review system is 5 stars. Obviously my last review was a poor one, NOT a 5 star!!! SEATTLE VAULT SELF STORAGE IS CLOSING! Be aware, they are just waiting for the official date before they permanently close (I found this out at the end of the day that I moved things into a 2nd storage unit in the building!) The building is being demolished for new construction. Understandably, most of the staff has a very 'short-timers' attitude. For some reason, the freight elevator must be operated only by the staff, significantly adding to the time it takes to move items in or out. Also, the parking is almost non-existent as it seems to be used by the construction workers. But what does it matter when they will be closing in a month or so? I moved into Seattle Vault a month ago. I've been to the site a few times. The prices are good, the location is clean and temperature controlled. 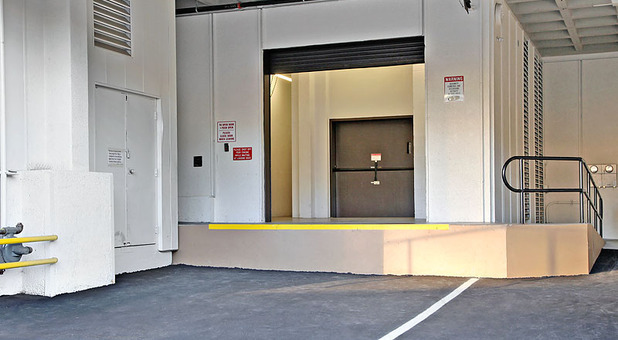 There are plenty of carts, a freight elevator, and a loading bay to pull your car/truck into. The staff is friendly and helpful. The manager even emailed me back when I sent him an email to update my demographics. First time storage user - impressed! This is my first time using a storage unit & I have been impressed with Seattle Vault! The move in was easy, the elevator works great, lots of push carts to use & a HUGE loading bay. All of my belongings are safe & sound! 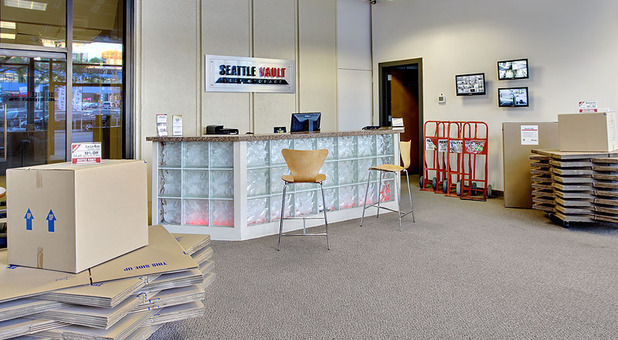 (from Google) Seattle Vault was extremely helpful in getting me moved in and into a storage unit to hold my stuff. I was impressed by the professionalism of the staff and the cleanliness of the facility. Access to almost all the units is via a large freight elevator, and there are ample trollies kicking around the space. 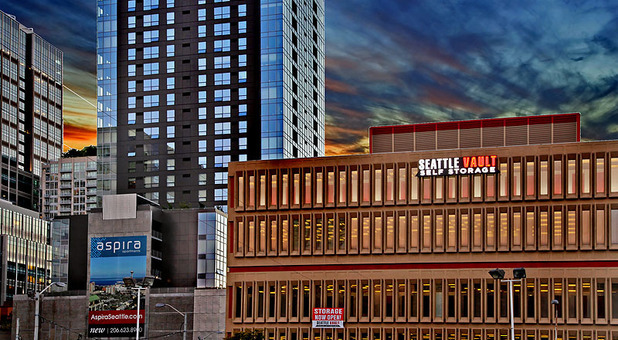 Pricing is very competitive and the location is hard to beat if you're in downtown Seattle. Having the right amount of space is important, just as important as keeping one’s possessions in tip-top shape. At Seattle Vault, we take care of both of these issues. We offer a wide variety of amenities to cater to a range of clientele, anyone from students to downtown business owners to residents in high rise apartments and condominiums. So what exactly do we offer? For starters, we have an assortment of boxes and supplies to get the moving process underway. We provide 24-hour camera recording for your peace of mind. 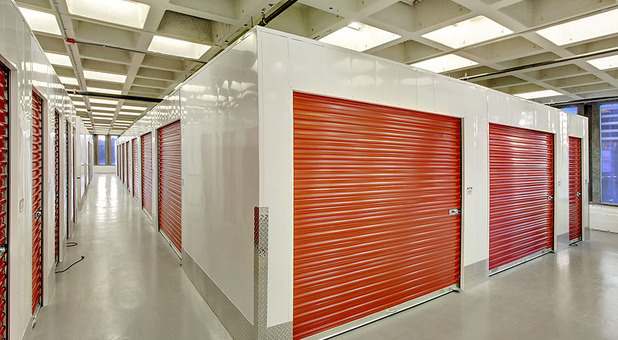 Customers' temperature-sensitive items will enjoy our heated building, and our cool basement storage units are a great place to store wine or temperature sensitive items. 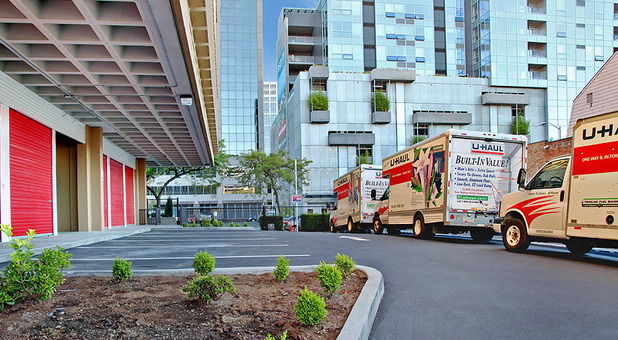 We are an official U-Haul dealer offering truck and van rentals, which means we offer vehicles from a trusted brand. Pair that with our drive-up access, and moving instantly becomes a breeze. Our online bill pay option makes payments quick and easy. 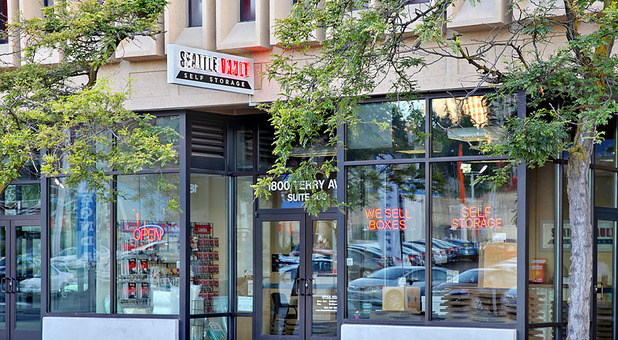 We are located across from the (former) Honda of Seattle at Howell Street and Terry Avenue and serve the areas of downtown Seattle, Belltown, Capitol Hill, and South Lake Union. 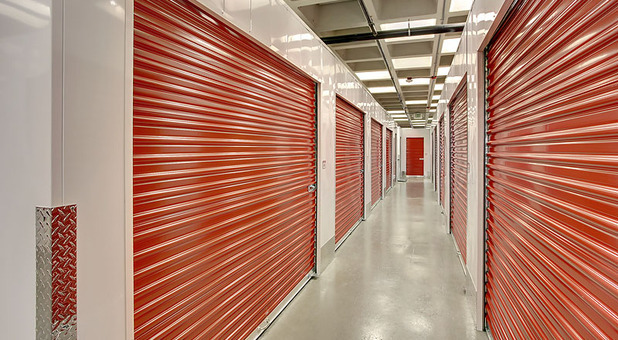 Stop by today for a tour of our clean and well-maintained storage facility!